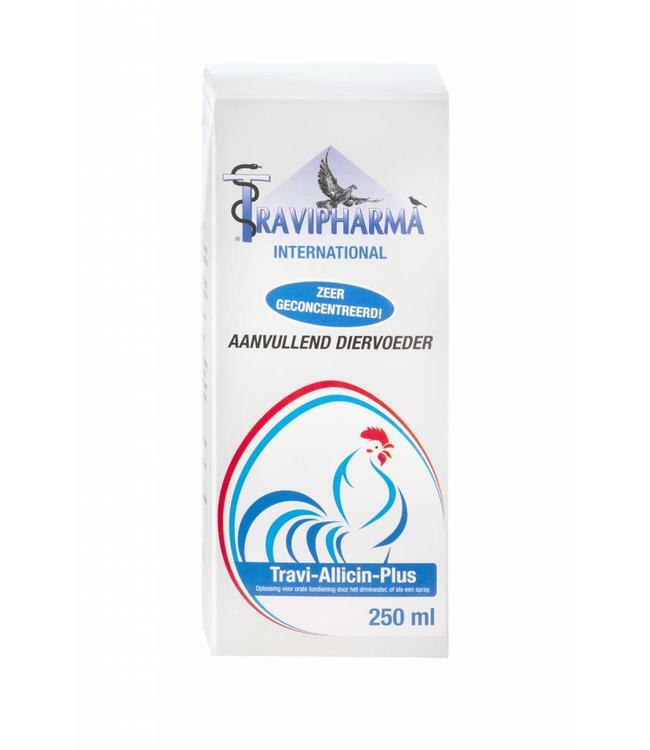 Travi-Allicin-Plus is an additional poultry supplement for poultry, pigeons and other pets.It's a strong herbal elixer. It assists in battling infections of the digestive and respiratory system and improves immunity and resistance. It's very suitable during the vaccination period. A mix of carefully tailored different herbal extracts. Allium sativum extract; Liquorice extract; Echinacea purpurea extract; Vitamin B2 (riboflavin).